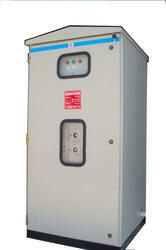 We are engaged in offering 11 kv outdoor load break switch panels, which conform to is/ iec standards. Our panels are suitable for outdoor application as these can resist adverse weather conditions and temperature. These panels are sturdy and offer excellent performance. 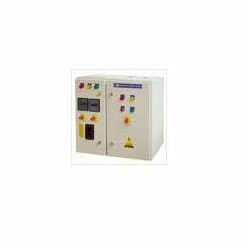 Our clients can avail from us 11 KV Indoor Load Break Switch Panels, which finds application in different types of combinations such as multi panel or main systems. As our panel conform to IEC/ IS standards, these ensure maximum reliability. These Indoor Load Break Switches come with metal clad enclosure with dynamic mimic and extensible on each side. Furthermore, output consistency can be achieved over long periods using these panels. We also offer these panels to our clients at industry leading prices. We are engaged in providing 11 KV LBS Outdoor Roof Bush Panels, which are available as outdoor kiosk with roof bushing. These panels come with single or multi-panel formations. Steel sheet housing with separate metal clad compartments comprises the fixed portion of the bush panel. These are suitable for bus bars, breaker and CT & cable terminals. The circuit breaker is carried with the operating mechanism by the four wheeled truck, which is the moving portion. Moreover, at the top of the panel, the draw out points are placed. Looking for Load Break Switch Panel ?